In what ways can an archive be regarded as an anarchic practice of collection and circulation? Following his visit to the exhibition Unboxing Photographs: Arbeiten im Fotoarchiv, Saadi Nikro raises some thoughts about the way interventionist archivists, artists, and photographic practitioners work with photographic archives. Earlier this year I visited the exhibition Unboxing Photographs: Arbeiten im Fotoarchiv, held between February 16 and May 27, 2018, at the Kunstbibliothek in Berlin. While the exhibition was relatively small and modest, and its subject matter, perhaps, esoteric, it provided an interesting take on the “work” (arbeiten) involved in a photographic archive. As I walked around the various displays I became more and more fascinated with this singular theme of demonstrating how photographs are handled, categorized, labelled, stored as a retrievable resource, or transformed into a formal modality of reference. 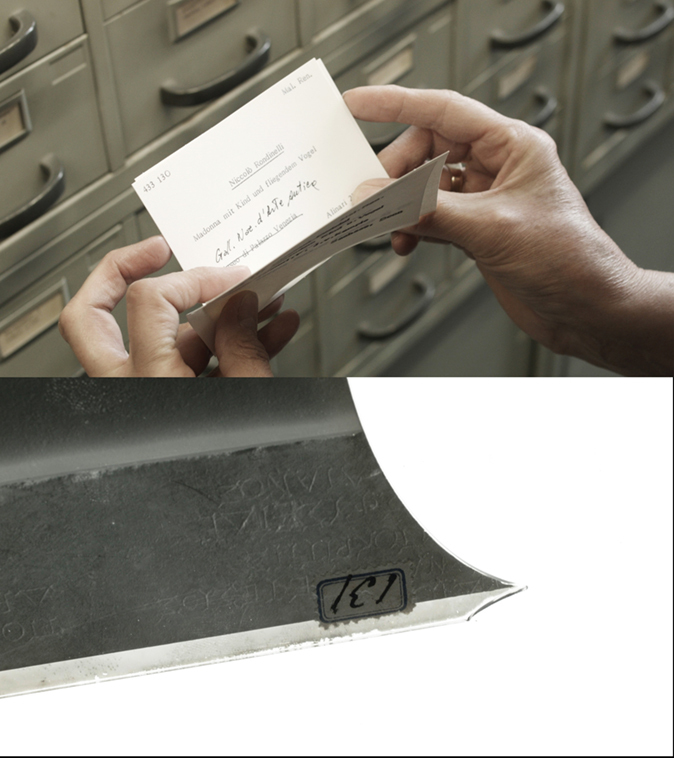 The guiding idea was to demonstrate mundane aspects of archival practices, such as pasting a photograph on a larger sheet of paper, an “inventory sheet,” and then adding an inscription, a number, some sort of reference for the document’s categorization and potential retrieval. The photographs are thus significant to the extent that they transpire as material things, acquiring phenomenal flesh through their physical handling, and not merely in terms of the images they comport. What struck me about one of the exhibits was an inscription accompanying the photographic document, placed on the bottom right side of the backing cardboard. 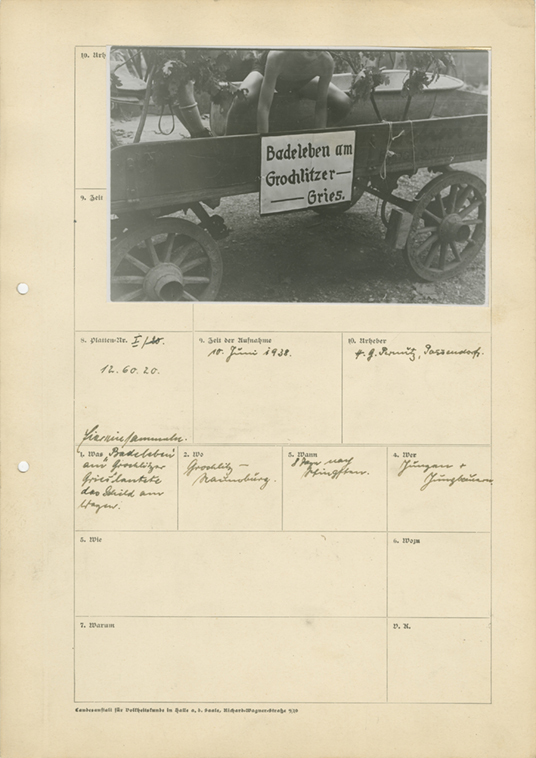 The inscription read, “Nachbildung verboten,” or “copying is prohibited.” I understood the injunction not so much as forbidding copies of the photo, but rather as an effort to control the very practice by which it is archived. What transformed the photograph into a resource was its pasting on a cardboard backing and the inscription of references concerning how the thing was to be classified, stored, and potentially retrieved. It seemed that each inscription—or more simply a mark, such as a rubber stamp—added another layer to the photo-document, another motivation, another exigency, another rationale. Over time, these layers become something like sedimentation, veneer upon veneer, each with a story that could be unpacked and told. The exhibition includes displays of the work of interventionist archivists, artists, and photographic practitioners, such as the group JUTOJO, Finnish photographer Ola Kolehmainen, the Lebanese visual artist and archivist Akram Zaatari, and the locally based Joachim Schmid. I am better acquainted with the work of Zaatari, having written about his photographic practices previously.1 In his visual work, in moving pictures and still photography, Zaatari likes to foreground the object-hood, the material presence, of both photographic prints and the technologies involved in their manufacture, circulation, storage, and retrieval. He often includes the apparatuses used for these processes, all the while demonstrating how social economies of affect are entwined with technological economies of reproduction. In his films and exhibitions, Zaatari has a fondness for long takes of hands handling photographs, or else cameras, projectors, and other instruments. Indeed, considering his interest in how photographs circulate as economies of affect and economies of technological innovation and practice, Zaatari’s work is compelling in terms of how he moves between image and material presence. While Zaatari, Kolehmainen, Joachim Schmid, and others have been working with the object-hood, or thingness, of images for some time;2 and while, indeed, the theme of the exhibition itself is not so groundbreaking, I want to draw on its material emphasis and discuss how an archive can be regarded as an anarchic practice. Both these terms enfold the etymological root arch, or arkhe, which suggests an origin, a beginning, a dramatic departure, usually involving a founding father, a patriarch. The example I think about is the story of Noah’s Arc (arch, arkhe), recounted in the Torah and the Koran. In Arabic, the boat is referred to as safinat Noah (Noah’s Liner), while in Hebrew it is tevat Noah. The Arabic root saf denotes an assembly, a class, a row, a type, or a classification. The Hebrew tevat is similar to the Latin arca, a cabinet for safekeeping, or a chest, a box. The Biblical/Koranic ‘story’ (store, storied, stored—another interesting etymological chain) of Noah’s Arc was one among many of ancient flood myths. The story involves a storing of types, an archiving of pairs of specimens, so that once the flood has subsided and they are unboxed, they would procreate, and produce offspring. In a similar fashion to the animal species in Noah’s Arc, once the photo-documents of the exhibition are unboxed, they gain a new lease on life, transformed from dead matter of the present-past into productive resources of the present-future. Derrida makes a similar point in his famous disquisition Archive Fever,3 where he writes about a “being-open-toward-the-future” (74). His critique of origin constitutes the kernel of his argument: where the “archontic” impulses of an archive’s rationale references documents of the past as originary, “anarchive” (79) impulses situate the present as an opening to a future, an “opening of a relation to the future” (72). His point, of course, is that an opening to the future involves an opening of what in the process becomes a proliferation of pasts and accompanying temporalities. To Derrida’s temporal scheme, then, I would add a genealogical notion of sedimentation, so as to acknowledge how archival practices involve layers of temporal relationships, layers of now-times marked, as I have said above, by additional inscriptions of documents (or else erasures of inscriptions). In the process, the past proliferates into pasts, while ordered temporal schemes of past, present, and future rapidly grow into stuttering exercises in rupture and departure. These are some of the terms by which a rough outline can be drawn of an archival practice as anarchic, rather than arch-ontic. We can further ask: how do the things and objects of archives become phenomenal and on the move, rather than ontic and institutionally fixed? How—to mention another of Derrida’s coordinates—can we regard an archival practice as both “housing” and "un-housing", an “anarchive" as housed and unhoused—always exceeding the “organising structure,” the “house arrest,” by which a collection is “consigned” (Derrida’s terms)? How are contemporary photographic practices negotiating boundaries where a photograph shifts between image and object, shaped by modalities of circulation and added inscriptions? These questions can be posed with regard to contemporary photographic and archival practices, which provide a compelling departure from what can be called a formalist concentration of visual studies that held sway in the last decades of the twentieth century. At the time, the very distinction between a photograph as ‘image’ and as ‘material object’ tended to be underestimated. When a photograph is reduced to the confines of the image it conveys, all its constructive implications, context or milieu are flattened to a compressed surface, which constitutes an extreme compaction of a mode of seeing. At the same time, the various modalities by which a photograph transpires as an encounter and phenomenal artefact—marked by inscriptions, dog-eared corners, fingerprints, and coffee stains—are compressed to a slice of context. My point is not so much to question the value of a constructivist approach, but to demonstrate its limits, in respect to appreciating a more phenomenological momentum by which the circulation, exhibition, documentation, and exposure of photographs are embodied as relational capacities for seeing and being seen. Circulation through sites of display, exposure, review, debate and discussion, and emotional attachment give flesh to the surface, negate the compression of an image to a surface. In her critique of Roland Barthes’s preoccupation with photography “as a visual surface that stands in relation to a canonical repertoire of images” (159), Ariella Azoulay5 has drawn attention to the production and circulation of photographic images/objects as modalities of both actual and potential practices of address and response. In his later work, Camera Lucida,6 Barthes moved towards a notion of affective shock, distinguishing the detached preoccupation with what he called studium from the “pin-prick” of the punctum. However, he had still underestimated how photographic practices involve what Azoulay calls a “civic encounter,” or else an “event” in which photographer and photographed actually cross paths, however briefly, in circumstances where much more is going on than what a photographic image coneys or bears as a conduit of emotional responses. Azoulay extends this notion of event to collections and circulations of photographs. This sense of an event proliferating into further events suggests a notion of temporality that is more manifold and on the move, encompassing various layers of present-past coordinates. It also suggests a notion of anarchic archival practices that have been emerging in contexts of subjugation and resistance. Interventionist Palestinian artists Basel Abbas and Ruanne Abou-Rahme’s ideas of a “living archive,” “archival multitude,” and “archival activism” are relevant in this respect.7 Developments in data processing and digital technology have ushered in new possibilities for an archive to transpire as acts of distribution and circulation, new possibilities for “insurgent citizenry,” as they write (357). Understanding archival practices as enacting events, and not simply the recording of events, Abou-Rahme and Abbas also maintain the relevance of archives as imaginary resources. Commenting on Arab revolutionary activities in 2011, they write about the necessity to “imagine a different political horizon, a different way of being political” (357). As collecting, storing, and circulating practices become more dynamic, emergent, and less institutionally fixed, the archive itself, Anthony Downey suggests, becomes “a contested site of enunciation”. This has some bearing on the compartmentalization and availability of knowledge8, as well as the disciplinary and generic circuits by which the production of knowledge takes place, mostly underpinning concentrations of power in and through government and academic institutions. While we can note that contemporary archival practices “reveal the archive as a structure that is far from epistemically stable, historically fixed, or hermeneutically coherent”9, it seems to me that it is also prudent not to underestimate how such emergent practices carry with them the necessity of formal organization. Azar’s sense of a superimposition of images relies on a phenomenal exposure of photographs. Similar to the unarchiving demonstration of the Kunstbibliothek’s unboxing exhibition, Azar undertakes an anarchic archival practice to bring his stored photographs back to life, giving them a chance to become phenomenally productive in the material world. 2. 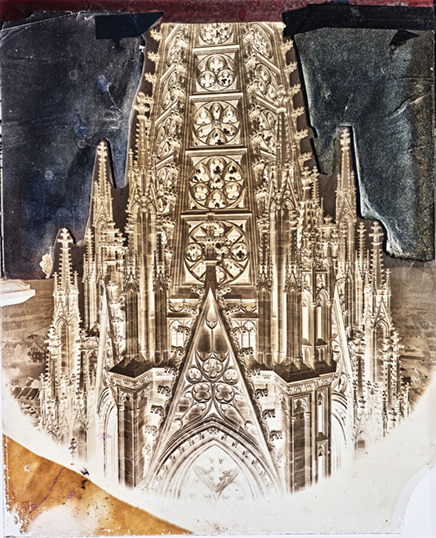 Schmid, for example, began his Bilder von der Straße activity in Berlin in the early 1980s, collecting discarded, often damaged photos from the streets. 4. Laura Marks, Touch: Sensuous Theory and Multisensory Media. Minneapolis: University of Minnesota Press, 2002. 5. Ariella Azoulay, The Civil Contract of Photography. Zone Books, 2008. 6. Roland Barthes, Camera Lucida: Reflections on Photography. Translated by Richard Howard. New York: Vintage, 2000. 7. Abbas, Basel, and Ruanne Abou-Rahme. 2014. “In Conversation with Tom Holpert, ‘The Archival Multitude’.” Journal of Visual Culture 12 (3): 345–63. 8. 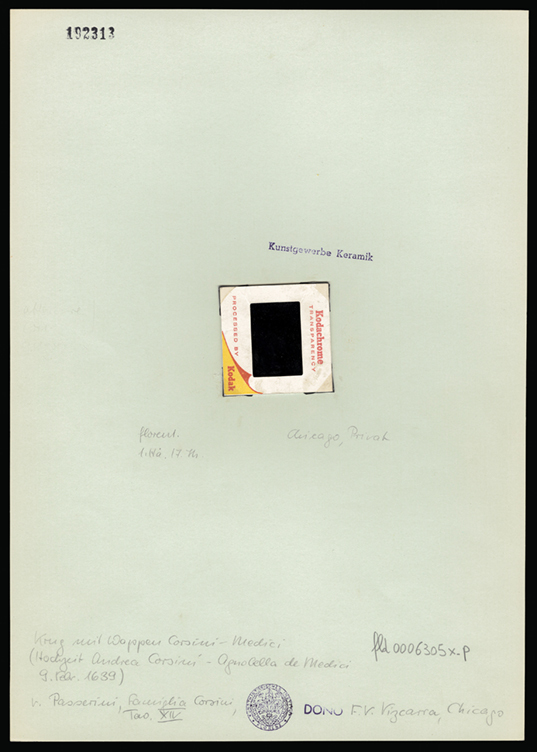 See Sonja Hegasy, "Archive Partisans: Forbidden Histories and the Promise of the Future". Memory Studies, special issue, Saadi Nikro and Sonja Hegasy (eds): Memories of Violence, Social Life and Political Culture in the Mashreq and Maghreb, Vol 12, No 3, July 2019. 9. Anthony Downey, “Contingency, Dissonance and Performativity: Critical Archives and Knowledge Production in Contemporary Art”. In A. Downey (ed), Dissonant Archives: Contemporary Visual Culture and Contested Narratives in the Middle East. I B Tauris, 2015. 10. Diane Taylor, The Archive and the Repertoire: Performing Cultural Memory in The Americas. Duke University Press, 2003. 11. Michelle Woodward, “Beirut Photographer: Interview with George Azar”. Jadaliyya, November 29, 2012.